We are all continually searching for ways to be more fit, stay safe, improve our wellness and live healthier lives; some health strategies are obvious, and many times it’s easy to know when you’re making a healthy choice or choosing to ignore the warnings and risks. However, there are also some important health tips that are somewhat obscure and not so obvious. Here a few not-so-obvious health tips to help you stay well-informed and give you the opportunity to make the right choice! Whether done intentionally or unintentionally, “belly flopping” can be fun. In fact, it’s some people’s favorite summer pastime! But the reality is that it’s also risky business. 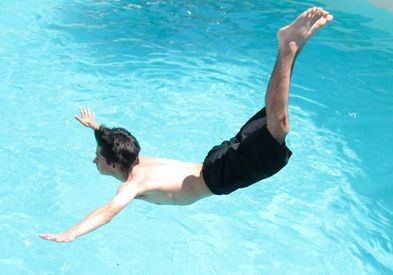 Injuries associated with belly flopping are not all that common, but they can be serious when they do occur. Whether you’re enjoying a day at the pool with your kids or you’re on vacation and have just found a perfect diving platform off some cliffs, precaution should be taken whenever jumping into water. The higher the point from which you jump, the faster your body will be hitting the water and when the impact covers a large surface of your body, bruising both outside and inside can occur. Internal organs are important! Protect them by breaking the water with feet or fingers, not your stomach! Also, always be sure to jump into water feet first before you know how deep it is. Serious spinal injuries and deaths have resulted from people jumping into water that was too shallow. Lastly, keep in mind that jumping out into water is always advisable; this will help avoid contact with sloped curves of pools or rocks near an edge. A recent disturbing study has shown that young children are being more regularly injured by the TVs in their own homes! Parents may never suspect their TVs of being capable of causing a trip to the emergency room, but many are discovering the dangers the hard way. The problem with TVs arises when they are improperly mounted either to the furniture they are sitting on or to a wall they are attached to. Falling TVs are causing concussions, cuts and other serious injuries – many times to children under the age of five! These injuries could easily be avoided with proper anchoring techniques. Be sure your TV is secure on steady furniture or correctly mounted to a wall. There are many anchoring devices available and instructional videos can be found online. Take note of other large objects in your home that may not be properly secured and could be toppled by a curious toddler. Simple precautions can save you a traumatized baby and a potential trip to the emergency room. Here’s a new tip for those of you looking to keep a healthy heart! You are probably aware that omega-3 fatty acids are a good thing for your heart, which is why doctors recommend two servings of fatty fish every week. Many types of fish have the kinds of positive fatty acid your heart can benefit from. Other foods like avocados and flaxseed can also provide some of these fatty acids, but did you know that the food with the best ratios of these acids and other added benefits is krill? Krill, like most seafood, contains mercury and should be taken only after talking to your doctor to ensure it does not cause any unwanted effects. 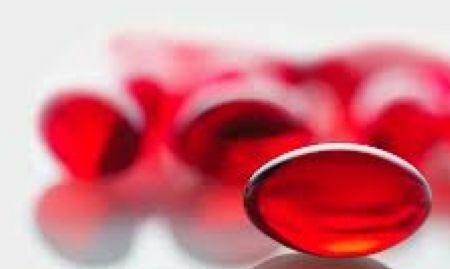 Besides having great omega-3s, krill is also a great source of antioxidants like vitamins A, D and E. One of the most powerful antioxidants, called astaxanthin, is found in krill and not found in many other foods. Check your local pharmacy, or shop online for krill supplements, but don’t forget to talk first with your doctor!